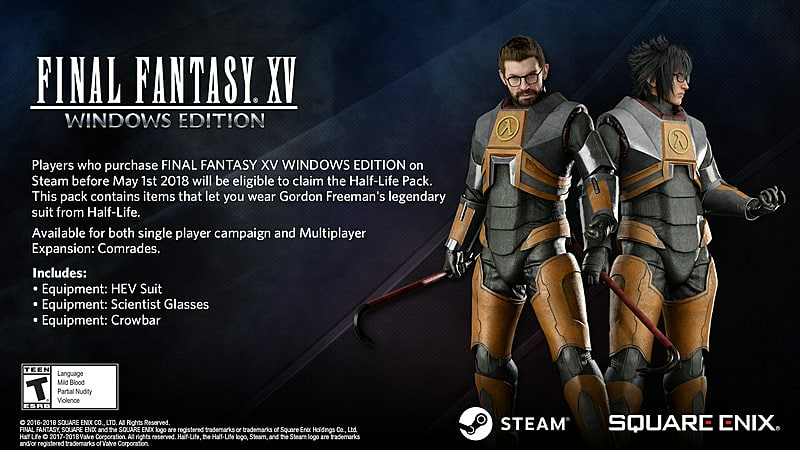 With the release of FFXV on PC, EA Games is offering some exciting crossover costume packs for players of both The Sims 4 and Half-Life. 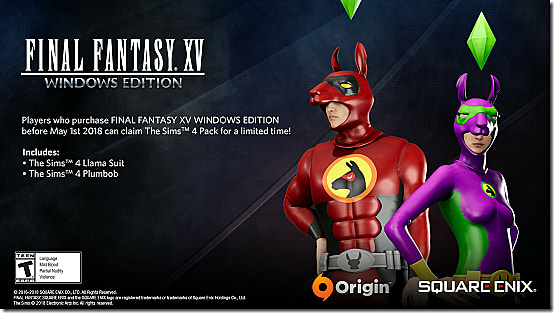 The Sims-themed costumes for FFXV include a Plumbob Suit and a Llama Suit for those who purchase Final Fantasy XV Windows Edition prior to May 1. 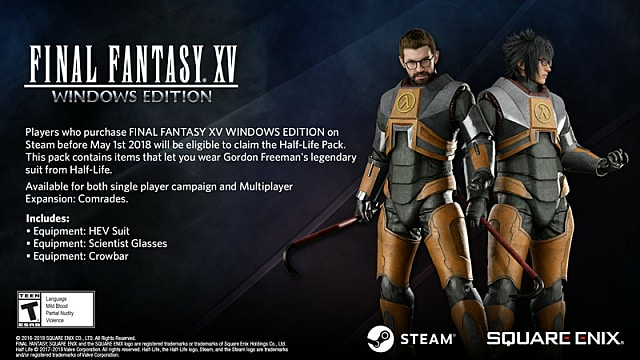 Not to be outdone, FFXV also offers a costume pack allowing players to dress as Half-Life protagonist Gordon Freeman, complete with spectacles and a crowbar. This pack is available in both the campaign and the multiplayer expansion "Comrades" for those who purchase the game before May 1st. 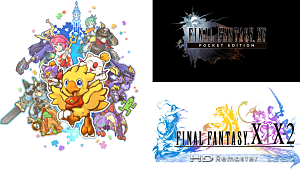 Here are some other fantastic crossovers we'd love to see in Final Fantasy XV Windows Edition. With all the raving fanfiction out there intertwining the two universes, I'm quite certain that any sort of Naruto feature or costume pack would make for quite a happy fanbase. 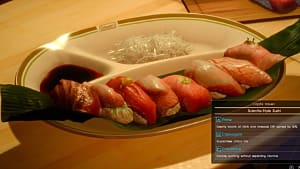 From shurikens and ramen to headbands and kunai daggers, this beautiful fandom combination would certainly make gamers elated for the release. Battle Royale is all the craze of the new generation, but PUBG has definitely hit a wave unlike any other game of its kind. 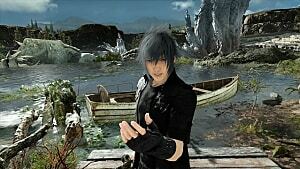 A crossover with FFXV would excite fans of both franchises and make quite a splash. 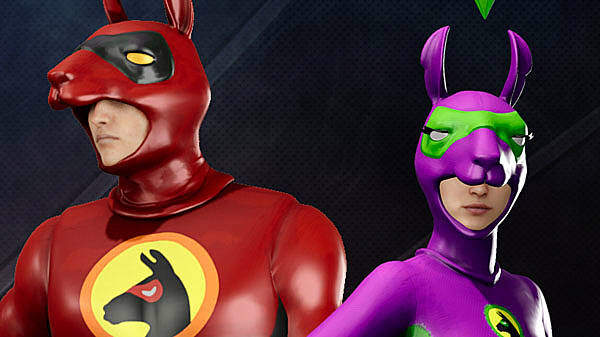 Masks, trench coats, oversexualized girls' school uniforms, and lots and lots of tacky weapons -- if that doesn't define PUBG for what it is, I don't know what does. 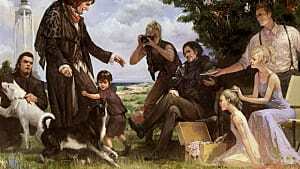 To suit some of FFXV's bizarre universe, a GTA 5 crossover chapter would make for an interesting expansion. Cars, crime, robberies, ladies, a polluted city -- why not? 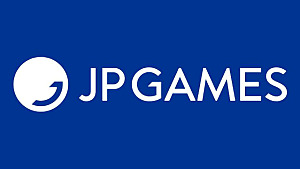 Not only would it amp up the excitement of the game, but it would celebrate all that Grand Theft Auto stands for -- reckless open-world gaming. To be fair, Skyrim has produced a good chunk of quality memes over the years, not to mention a variety of crazy mods. Imagining an Elder Scrolls-meets-Final Fantasy expansion would be as bizarre as it would be exciting -- two brilliant, well-appreciated franchises on a blind date. 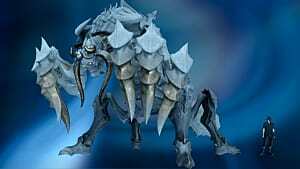 The material could range anywhere from Nordic swords to fur armor to intelligent dragons. Anything is possible in both universes. This one probably hits close to home because of the massive internet fanfiction following. 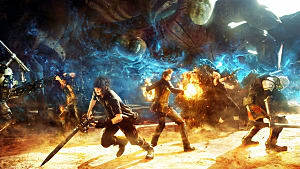 After RWBY, a well-known anime series, Square Enix's second child, Kingdom Hearts, is the second most popular crossover fantasy for die-hard Final Fantasy devotees. With the animations, characters, and combat styles bearing an uncanny resemblance to one another in the scope of an ARPG, there are many who would enjoy a couple of good skins to satisfy their fandom needs. 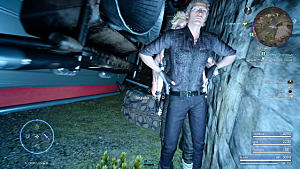 With so many great options, Final Fantasy XV is bound to see more skins, expansions, and features in the future to celebrate the intersectional nature of the franchise. Let's see if any of these make it to the list! 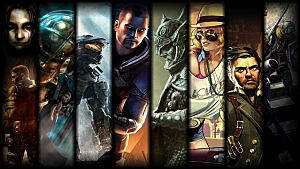 What are some crossovers you'd like to see included in the PC release? Let us know in the comments below!